We’re working hard to bring you the next issue of CypherCaster and this one will be like no other before it. In this issue we will have an extended feature called Sector Agents, an all-new Cypher System setting that has your players acting as space cops in a pulpy sci-fi setting. The feature will include: setting details; random lists for generating star systems, mission types, and even suspects; alien races; a few pre-written missions; and even some fiction. All from several contributors. To illustrate this new setting, we have a gorgeous cover by the scorching hot artist Yannick Bouchard which we can present for the first time today. 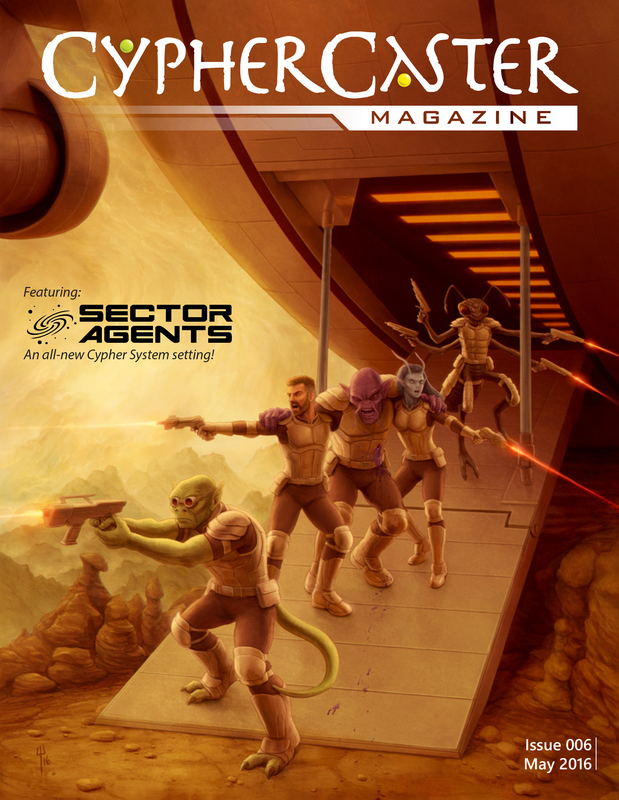 Look for the Sector Agents feature as well as loads of other content in this issue, arriving online this May!